If it’s Monday, I’m playing along with Paulita Kincer’s Dreaming of France, a weekly meme where françophiles share photos, stories, and the like. Today, struck by Paulita’s post about the healthier eating habits of the French, I recalled the popular French Women Don't Get Fat by Mireille Guiliano. 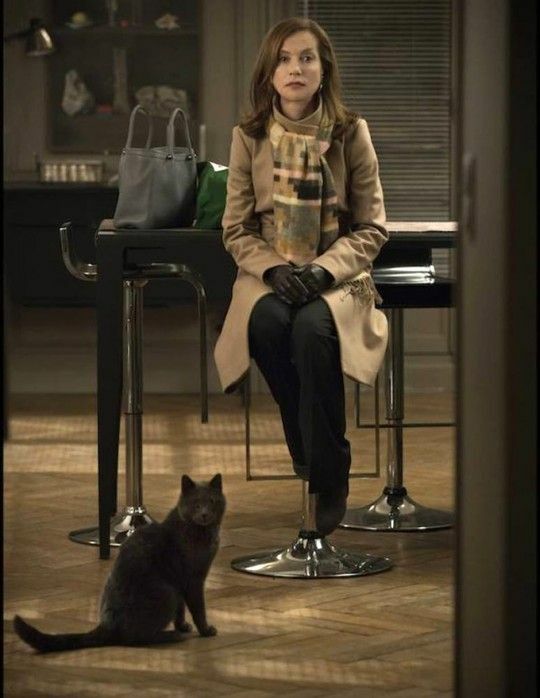 Isabelle Huppert, in her mid sixties, nominated for a Best Actress Oscar for her performance in the French film Elle, could be the cover girl for the book. Appearing healthy, slim—not skeletally skinny—trim and fit, she is a walking endorsement to the notion of healthier eating habits. What is the secret? Part of it is the difference in the way our cultures think about food. Watch what Isabelle Huppert has to say about snacks and movies and see if you don’t agree. Do you see? It’s all about focus. Let a meal be an experience to be savored, not a piece of junk food gobbled up mindlessly while doing something else, driving, writing, watching tv. Here in the U.S. we can’t go to the movies without snacking. It’s part of the experience. So much so that we gripe about the high cost of movie theatre popcorn and soda and smuggle in our own snacks, burying them in the bottom of our bags. It’s not just the food we eat at the movies of course, that makes us unhealthy or fat. 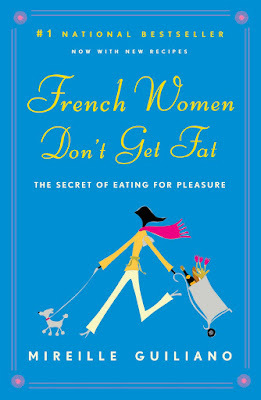 It’s the habitual way we look at food, making choices like eating more veggies and avoiding the bread—even delicious crusty French baguettes—smothered in butter. Those are the kinds of choices that make the real difference over the long run. What do you think? Do you snack at the theatre? Can you go a couple of hours without guzzling down a gallon of soda and shoveling a bucket of popcorn—not plain, loaded with salt and butter—or nachos down your gullet? How’s that working out for your waistline? My true confession is that while I love popcorn and would happily eat it all night long, it gets stuck in my teeth so I’ve had to give it up. How about you? How’s this for a dietary guideline? When you’re eating, eat. When you’re watching movies, watch. Yum, bread, yes but in moderation. I hate snacking at the movies - it distracts from the pleasure of seeing the film. Plus I don't really get to savour what I'm eating. And I usually don't like drinking soda - I rather not have to rush to the restroom and missing the best bits of the film (even if I wouldn't miss it I don't want to get out of the movie experience). Hi Dor! Welcome; it sounds like we are of the same mind when it comes to snacks. The other thing is all the distracting noise the opening of food containers. Oh, I sound like such a grouch!